Colorful Christmas sweaters have been part of the holiday tradition in the United States for almost a century, but they weren't always considered "ugly." 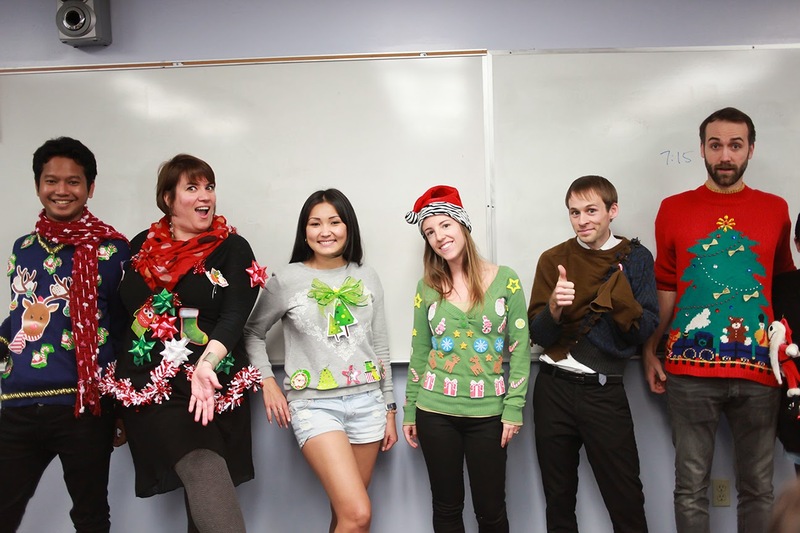 Sweaters that were brightly colored in mostly reds and greens and decorated with winter scenes, snowmen, Santa Claus, reindeer, Christmas trees, and everything related to the holiday were a common sight at holiday parties. It was often "grandmas" and "aunties" who would give these sweaters as gifts that were often unappreciated. One might say that the sweaters have always been ugly, but only until recently have the ugliest sweaters become most popular. 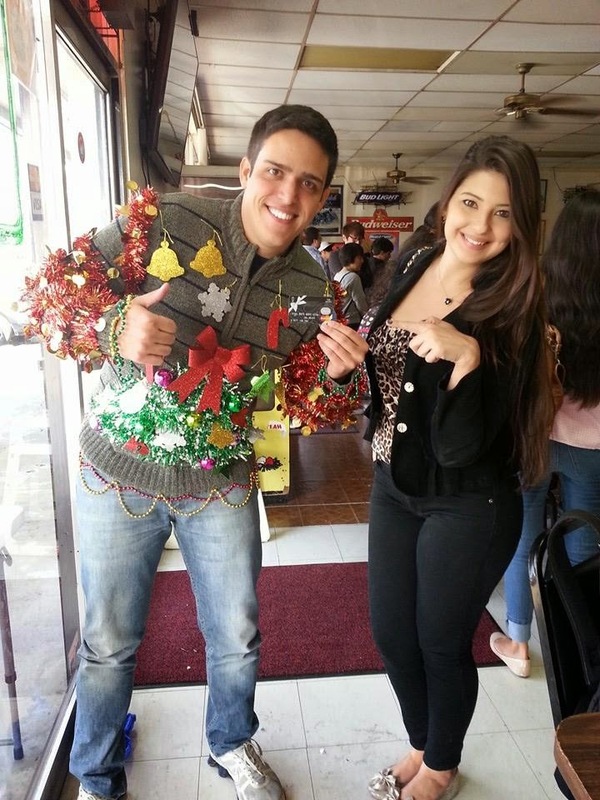 Younger generations are enjoying overly decorated holiday sweaters as more of a novelty than in the past by hosting "Ugly SweaterParties," where guests wear the ugliest holiday sweater they can find. 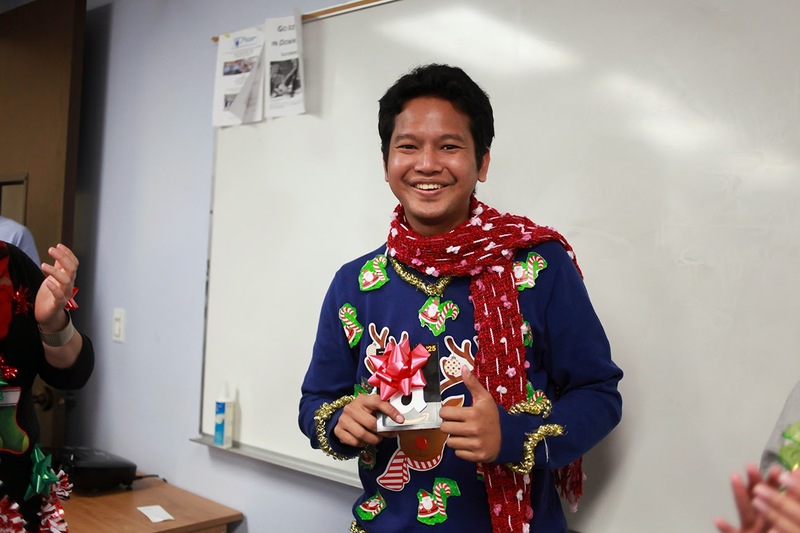 At the end of last term, Language Systems hosted Ugly Sweater Contests at each of its campuses. 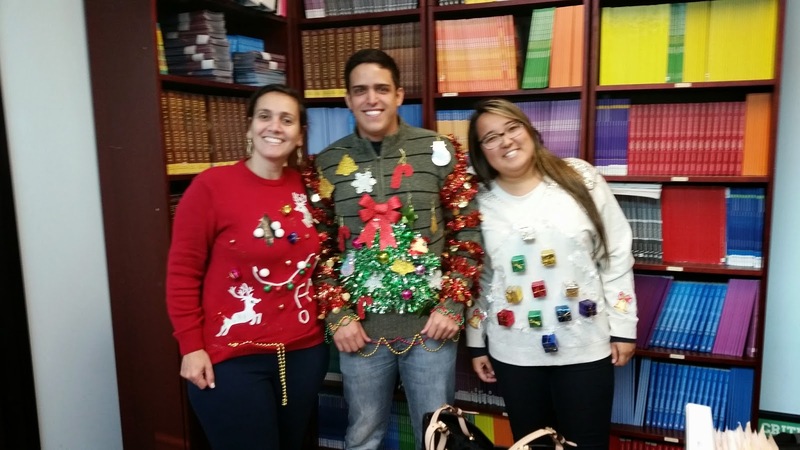 Students, staff, and teachers were encouraged to wear ugly holiday sweaters for a chance to win a prize. There were lots of shiny bows, snowmen, snowflakes, and even some 3-D elements! It was very difficult to choose the best, but the winners definitely deserved it!